i miss blogging! sitting at my desk is uncomfy these days to say the least... i only have 4 weeks to go until we meet baby boy h. that is, if i go the distance! i'm excited to finally share my things i love post with you... i've had it started for over a week! hazel's nursery is in the middle of a major transformation. somedays when i put her down to nap, she must wonder where she is! many of the goodies we've added to baby's room are made with love by mommy or grandma hollie. we are loving how it's taking shape and cannot wait for the big reveal in the next few weeks. with a new year comes a list of resolutions and goals, making to-do lists a little longer and lofty. i am loving this fab freebie printable i stumbled upon through pinterest. i've printed a stack of them, popped them on a clipboard from the dollar store, and they'll sit atop my kitchen island, hopefully increasing motivation to get it all done around here! with baby due to arrive in mid-february, we've gotten a jump start on H's preschool Valentines. this year, after having her pick from a few ideas, we're running with the lolly self portrait cards. a few other favourites included the you make my heart bounce bouncy ball treat and the i'm bananas for you candy treat. do you love monograms as much as i do? hop on over to linen & thread for some fantastic ideas on how you can decorate and personalize your home with monograms. my most favourites are the initials for each grandchild bordering the playroom, and a beautifully DIY'd oversized monogram gracing a master bedroom. i haven't held back this pregnancy with my indulgence of all things sweet. i've been trying my hardest to avoid the chocolate and dip into a more healthy snack. 9 times out of 10 i'm unsuccessful, however, i did bake this deliciously fluffy lemon-blueberry yogurt loaf and it was a hit! Yay! 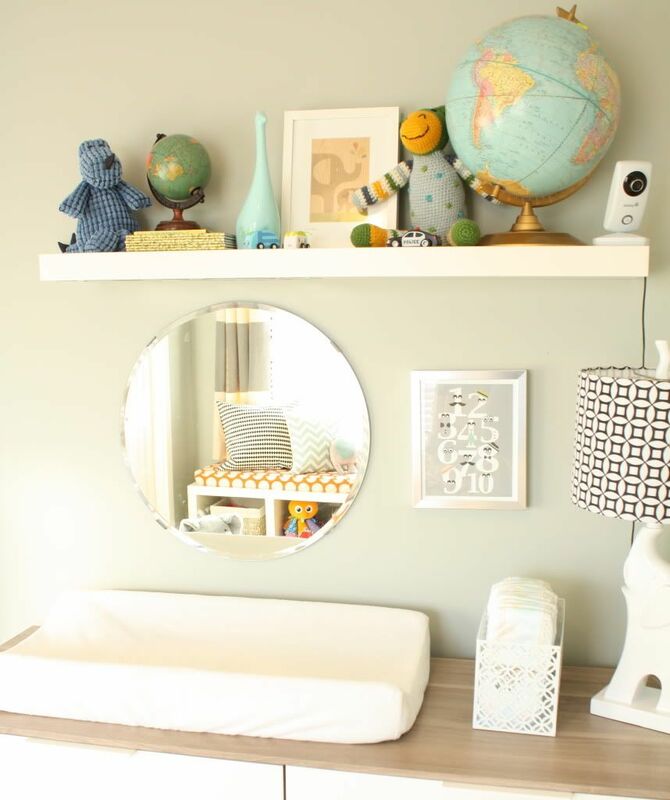 Your nursery is looking sooo good! I love the orange and teal poking in in the background! Can't wait to see it all. OK, now you are just teasing me. I need more pics of this fab nursery!!! I'm catching a glimpse of some great fabrics and I love the wide striped curtains (something on my list for S's room), so I want details! PS- I have that same white mesh basket from Target! Love it!